I-90 Enterprises is celebrating their 10th anniversary of being in business. During the month of March they chose to match donations at the Satellite Book Shelves placed around the community by the Edgerton Alumni Foundation (EAF). 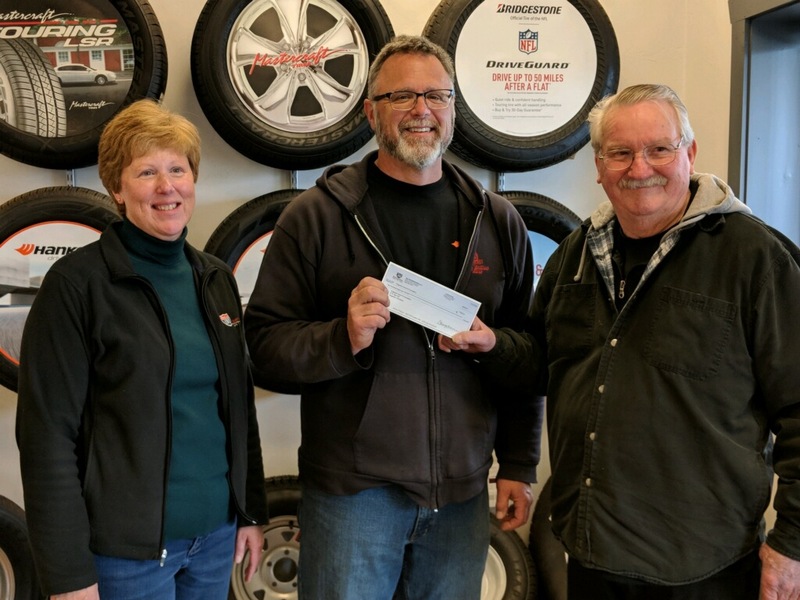 On Friday, April 12, Rick Richardson and Sue Tronnes presented a check to Jerry Selvog, Chairman of the EAF, that matched those donations. THANK YOU I-90 Enterprises for giving back to the Edgerton community!